I can't tell you much about this bygone Vancouver, BC troupe of four: one girl (Roxanne Heichert) and three gents, because info is pretty scant on them, web-wise. All sorts of pop/rock angles abound here, but there's a pronounced left-of-the-dial bent to Go Four 3. 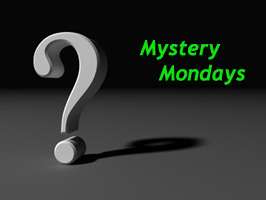 Maybe a hint of Let's Active or Bangles here and again, albeit with crunchier riffs that wouldn't be far removed from a Cult or early U2 record. Very little of that patented '80s studio schlock is represented on Six Friends, which is precisely the way I like it. They must have read my mind. 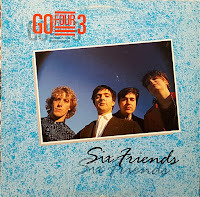 Their take on The Passions "Africa Mine" is a none-too obvious cover, and drops some serious hints as to where GF3's collective heads were at the time. An ep from 1985 preceded this that I believe I'll have to get my mitts on. 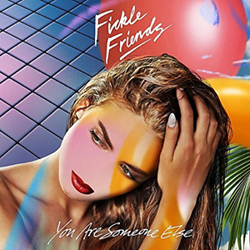 Fickle Friends - You Are Someone Else (2018, Polydor) - A (not so) brief overview. Before yours truly was in hysterics over Husker Du, I hung my metaphorical hat on Hall & Oates. And prior to dousing my senses in all things relating to the Descendents I was diggin' on the likes of Duran Duran. My point? Well before your humble and obedient servant got hip to the indie circuit, my budding tastes were situated on mainstream and Top 40 acts. This was in the early-to-mid '80s just as the window was about to slam irrevocably shut on quality household-name fare. Circa 1984 you could still routinely find genuinely smart songs on the "straight and narrow" on FM frequencies above 92.1. Alas, It wouldn't be long before my tastes became more selective and radio playlists became more homogenized. I moved on, and never quite looked back save for some nicely rebooted reissues from the likes of Tears For Fears and A Flock of Seagulls. But what if a band/artist came along, say in the mid 20-teens, that angled squarely in the direction of the mainstream but boasted material of such high caliber that they were anything but a guilty pleasure? Enter Fickle Friends, an impeccably bright and buoyant co-ed, fivesome from Brighton, England. 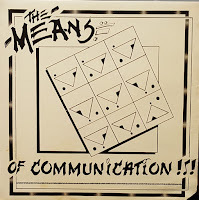 Before delving much further, most, if not all of you are not accustom to me touting dance-pop records, let alone one this consistently upbeat. Time to kick that tradition to the curb, because FF's debut, You Are Someone Else is a fantastic and flabbergasting anomaly of an album. Spearheaded by Natassja "Natti" Shiner, the Friends function at an often breathless pace, but it isn't so much the euphoric tempos that propel them into a field of their own, rather an alluring sophistication. Over the course of YASE's sixteen songs, Natti and crew cut a sleek, cosmopolitan swath brimming with plush, sumptuous bass, interspersed with spicy guitar fills and some occasional wonky keyboard affectations. Fickle Friends are one of those rare entities that benefit from their liberally applied polish and sheen. I can't recall a band that was this nimble and proficient, yet thoroughly approachable. Not only does YASE pump, pique and lusciously provoke in every conceivable direction, it's an embarrassment of melodic riches. Monster hooks to the hilt infuse and embed every pore of "Brooklyn," "Lovesick," "Say No More," "Glue," and then some - or more like all. And even when the tension is ratcheted up on romantic quandaries like "Wake Me Up" and "Midnight," Fickle Friends manage to wind everything down their neon-tinted path as smooth as silk. There are no legit ballads, per se to be had here, yet the album is strikingly diverse and nuanced in spite of their thankful sidestepping of such mundanities. This crew deals in genuinely infectious dance grooves without catering to insipid teeny boppers. How often does that sort of agile negotiation present itself? It's the kind of record you can play in your bedroom when chilling with your bestie on your hamburger phone, yet would simultaneously sound every bit as relevant pouring out of the speakers in a dimly lit nightclub. And above all else, the Friends have honest to goodness songs that indelibly sink in like so much India ink on a rented tux. Practically, a double album's worth of singles unto itself, YASE offers little if any filler, just potential hit-after-hit - "Heartbroken," "Hello, Hello," and "Swim," some of which actually were singles dispensed online over the course of the last three years. To some, You Are Someone Else may not be a revelation in the most creative sense of the phrase, but in the deluge of empty calories drowning radio stations and streaming venues, Fickle Friends stand in a markedly chic light of their own, and are likely the sweetest confection to emanate from the British isles in years. They're currently tearing it up live in Europe, have three New York and Cali dates later this spring, and a more exhaustive tour of America is to come this fall. For those of you Stateside, Amazon is your best route to buy a physical copy of the record, and there are a variety of digital options to choose from here. He recorded my friend's band for free. What a nice guy he turned out to be. The 2001 & 2002 platters from a riff savvy, L.A. indie rock combo who just might remind you of Superdrag. This is quite the 180 from my Shoes post from a couple nights ago. 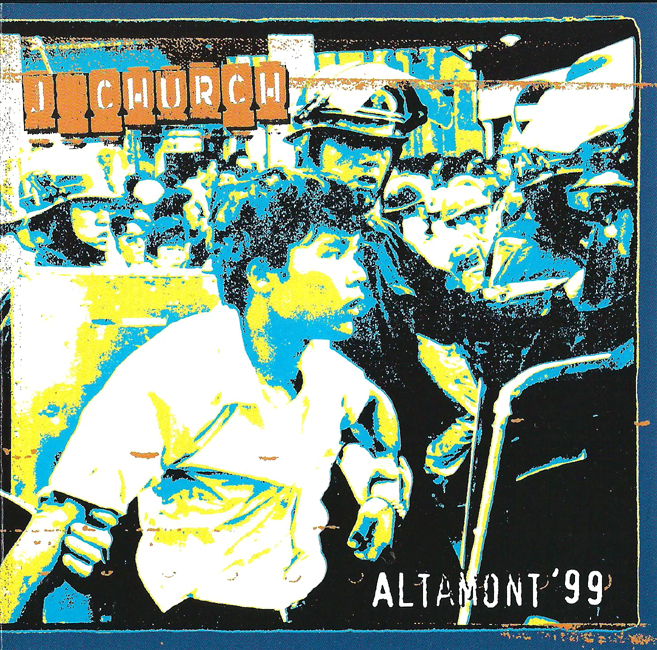 J Church are no stranger to these pages, but this might be the last of what I can share given that so many of their records are back in circulation, if only digitally. 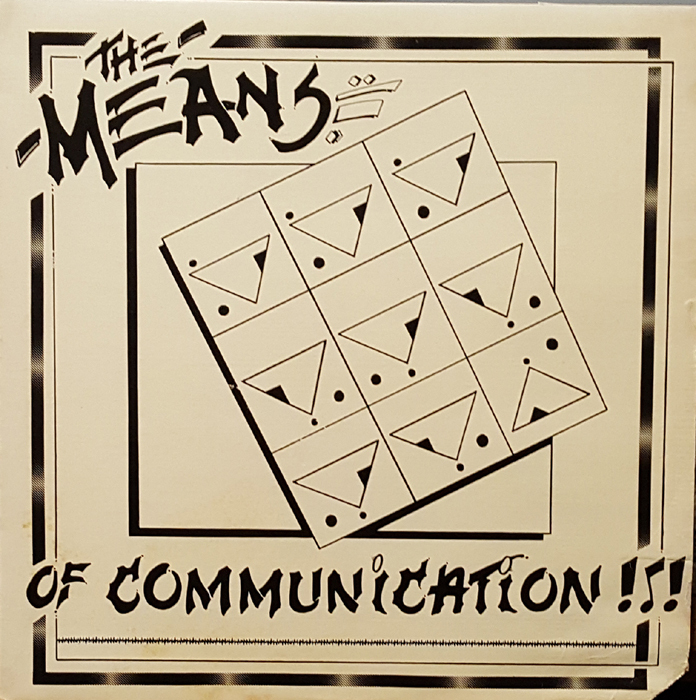 The basics: a pop-punk combo from San Francisco (later Austin), whose two-minute songs often had a socio-political bent, but nothing heavy handed. Ex-Cringer guy Lance Hahn was the band's nucleus and only consistent member duyring J Church's 1991-2007 tenure. They released an often unrelenting avalanche of singles and full lengths during that time, with a sizeable concentration of them arriving in the '90s. Melodic, observant, intelligent and even cathartic, all of these attributes could be pinned to J Church - even simultaneously on occasions. Altamont '99 is a plentiful collection of singles and (mostly) non album material, containing some of Lance's career best including "Undisputed King of Nothing," "Your Shirt" and "Contempt For Modesty," alongside covers by Radiohead, The Smiths and even Guided By Voices." Lance passed away from natural causes in 2007, but not before leaving behind an immensely prolific legacy. 24. What Should I Do? As the band readily admits between songs, "We don't get out much." Indeed, It’s not every day that Shoes play out, even in robust markets like New York. Much to their credit, Zion, IL's power pop mavens did trek due east for the first annual Brooklyn Power Pop Festival in the spring of 2014. In addition to the billing of the gig, they had a good enough excuse to spread their wings as just two years prior they dropped their tenth, and much belated studio album, Ignition. 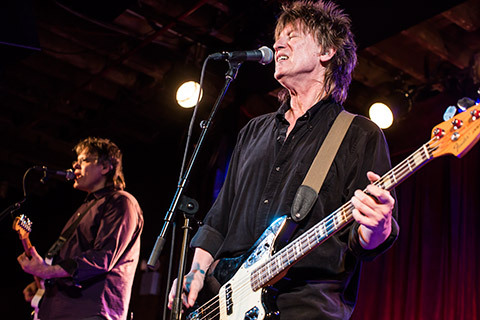 For the uninitiated, Shoes were leading lights in the power pop vanguard during the late '70s/'80s, bringing definition and prominence to their chosen genre. Any whiff of the brothers Murphy (Jeff & John), Gary Klebe, (and for this performance) Johnny Richardson on percussion, in the twenty-first century is nothing short of an event for Shoes obsessives. Granted, their pipes aren't quite as pristine as they were three decades earlier, but their overarching approach at this 2014 concert was just as nimble and airtight as their halcyon days. In addition to a devastating volley of classics like "Burned Out Love," "Too Late," "Tomorrow Night," and "Love is Like a Bullet," they excavate some particularly deep tracks from Stolen Wishes, and all the way back to Black Vinyl Shoes. You'll hear plenty of newer cuts too, on this superb audience recording that can often boarder on a soundboard tape. I've made this available in MP3 and FLAC below. 12. Boys Don't Lie/Do You Wanna Get Lucky? I saw the light but I missed the heat. Another batch of four eps, including two that are quite recent. It appears The Means called Downey, CA home, but otherwise they were a bit all of over the map...yet never quite lost. 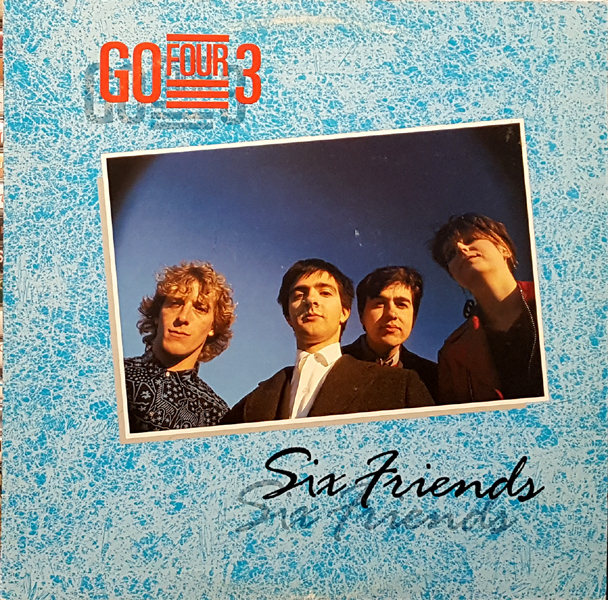 "Talk it Over" has a sprite, staccato-y guitar line and wave-ish synths, "Russian Roulette" finagles with a catchy dollop of two-tone, blue eyed-ska, and "Fryin' Pan" excavates a fine vein of power pop, a la the Knack and early Joe Jackson. A good bit of the remainder of Of Communication isn't as memorable, but another keeper, "Love's Too Bad" has a skip towards the end that I couldn't remedy. Take it or leave it. I featured one of 45 Spiders other albums, Standard Forms of Communication, when this site was still in it's relative infancy. I think I appreciated that one more than Mizu No Oto, and having said that, I also have to concede that this co-ed D.C. trio weren't exactly the pinnacle of their forte, specifically indie rock. Truth is though, there's really no one in their class around these days, playing the "thoughtful albeit challenging" card, a la bands of their ilk from yesteryear like Versus, Seam, and even Yo La Tengo circa Electr-o-Pura. Skittish webs of guitar, spindly dissonance and a mildly downer undercurrent go a long way in defining Mizu No Oto. The shorter tunes ("Derive" and "Everything Goes") tend to be the more memorable ones here, but the entire record is worth investigating. Enjoy (you will). The bonus disk, and only the bonus disk from an expanded reissue of a seminal debut album, circa 1980. Catching up with Saint Marie Records - Amusment Parks on Fire, Miniatures, and more. There aren't many record labels I follow, much less one whose entire roster is at the very least acquaintance-worthy (if not always fanboy-worthy). Saint Marie Records is one of those rare exceptions for me, much like Sub Pop and Matador were in the '90s, however S/M's focus is on dream-pop, both present and past. Here's a roundup of some of their latest - and quite possibly greatest. Amusement Parks on Fire have been one of my go-to bands since I caught wind of their debut in the mid '00s. Based in Nottingham, England they just so happened to bear a resemblance to their London neighbors to the south, My Vitriol. Both groups employed heaps of effects and amps, but APOF drew more from the shoegazer side of the noisome spectrum (think Swervedriver meets Loveless), and better yet released three glorious records and about a half dozen eps between their initial 2004-10 lifespan. Fronted by Michael Feerick, it seemed the Parks never lived a moment when they're weren't excelling, even if it fell like they were literally the best kept secret in music. offerings. Eyes was a near-concussive sprawl of amped-out riffs, wily dynamics and sweet penetrating hooks, packing just enough woozy shoegaze aplomb to distinguish themselves from...well, anybody, when you come right down to it. You could say APOF were equal parts cumulus clouds and freshly laid asphalt, sparking a visceral but grounded rush to whomever was in earshot. "Flashlight Planetarium," "Echo Park" and the title piece were plenty blissful, but engulfingly cinematic in scope to boot. Frankly, it all felt a little too good to be true - and in reality it sorta was, because in the wake of Road Eyes they disbanded. In 2017, APOF reconvened and before the year was out, so was a new single, "Our Goal to Realize," virtually picking up right were they'd left things on Road Eyes, in a gauzy haze of feedback and melody. 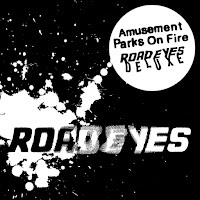 In addition, to the new 45, Saint Marie just issued an expanded version of Road Eyes, exactly doubling it in length with a whole 'nother nine-song LP consisting of b-sides, demos and unreleased scree. It's available in modest quantities on black and splatter colored vinyl directly from the label. You can also get your digital fix there, or if you prefer Bandcamp or iTunes. By Jove, it’s as if I’ve located Cocteau’s…Twin! And it only took 35 years. In all seriousness, New Zealand by way of Australia's Miniatures are wholly unrelated to Elizabeth Fraser, et al, but they exude so much of the sonic dazzlement their forbearers made their calling card, it’s hard to underemphasize the comparison. In spite of everything they cull from the not-too-distant past, Miniatures gracefully tuck in their own billowy endowments. Their debut, Jessamines, is dream pop in the most epitomizing sense of the term, spilling out an engulfing glaze of chiming chords, and Annemarie Duff’s ethereal vocal prowess. It’s reverie-inducing stuff for sure, and if you’re anything like me you’ll gladly forgive them for employing that relentless drum machine. 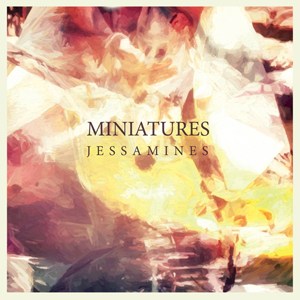 Jessamines is in fact not just one of the ten best nu-gaze albums of 2017, but perhaps the decade itself. 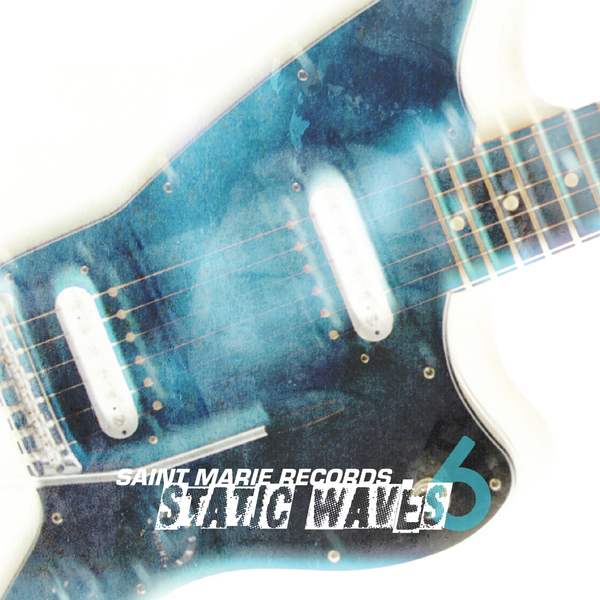 A must, must listen, and you can do so straight from Saint Marie, Bandcamp, and the usual digital vendors. Last but not least we have the sixth installment in the Saint Marie's Static Waves compilation series, a double disk CD that serves not only as a label sampler, but a treat for dedicated supporters can hear a spate of previously unreleased goodies. The aforementioned Parks and Miniatures make a showing, as well as primo stablemates Presents for Sally, Snow in Mexico, Bloody Knives, Secret Shine and Spotlight Kid, but the gravy for me was a really cool volley of remakes. We Need Secrets take on the Lily's early nugget "Claire Hates Me," Crash City Saints do a splendid job with OMD's "Souvenir," and a subdued interpretation of New Order's "Regret" is handled by Lotte Kestner. And if you want some icing atop said gravy, Jeff Runnings of For Against renown donates an exclusive demo, "Watch," dating back to 1988! Another embarrassment of riches, and the price tag is attractive to match. Get it right from the source here. BTW, be on the lookout for reissues of For Against's 1990s catalog soon, or better yet, check out the Pledgemusic campaign to fund it. So there's probably not a lot of household name talent here, but I think you'll be pleasantly (if not incrementally) surprised. 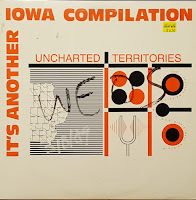 I actually posted the predecessor to Vol 2 eons ago, and there are quite a few acts that follow over (after all, the records only came out a year apart and that weren't that many comp-able indie acts in the Hawkeye State). At any rate, both sides of this collection are pretty consistent, with the first half containing a trifecta of bands I've enthusiastically dedicated space to n W/O over the years, namely, Full Fathom Five, Dangtrippers, and the Hollowmen. The last of those three contribute a distorto-molten gem "Pavilion," which would have fit splendidly on either of the Hollowmem's two albums. As for the relatively unknown quantities 23 Lies mine a noir vein, Movable Feast and Stone Wakening deliver some riff savvy indie rock, while the Merry Pranksters and Made Ya Look wield something approaching power pop. As for House of Large Sizes, I could never get into them. Really gave 'em a chance too. BTW, my apologies for the radio station writing on the cover. 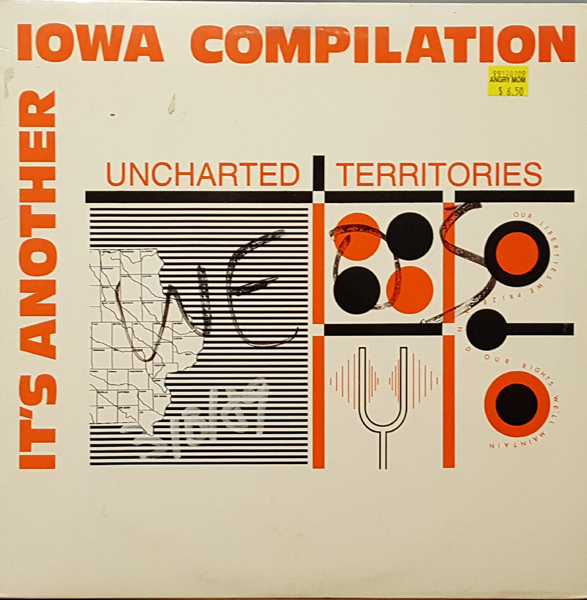 Incidentally, many more volumes in the Iowa Compilation series would could down the pike, and even existed long enough to accommodate the biggest band to ever come out of the state, Slipknot. Indie rock makes for strange bedfellows folks. Aw, man. 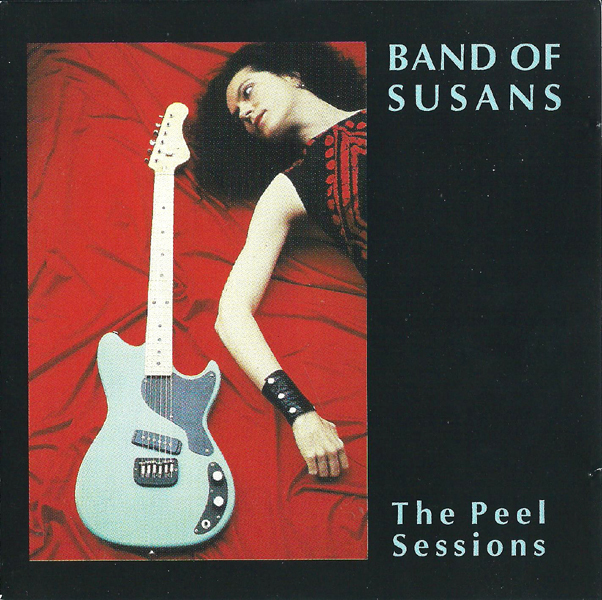 This is probably the only Band of Susans album in my collection (save for their first ep which I posted ages ago) that isn't on iTunes. Their history is a bit lengthy, so I'll let you peruse the details here if you're so inclined. The overall premise of the band, at least initially, was to have an inordinate amount of guitarists (say, three or so) to pack as a big a sonic wallop as possible (they did). The band's original lineup entailed no less than three women named Susan (surnames: Lyall, Tallman, and Stenger), but only the latter of those three (on bass) made it onto the pair of John Peel Sessions I'm presenting here. The sessions surrounded a couple of their early and most cathartic axe-squalling salvos, Hope Against Hope and . Love Agenda. Though his involvement in the band was brief, Page Hamilton performs on the 1988 Peel session, which was just prior to him running off to the races with Helmet, and I believe he sings on the songs as well (sure sounds like him). 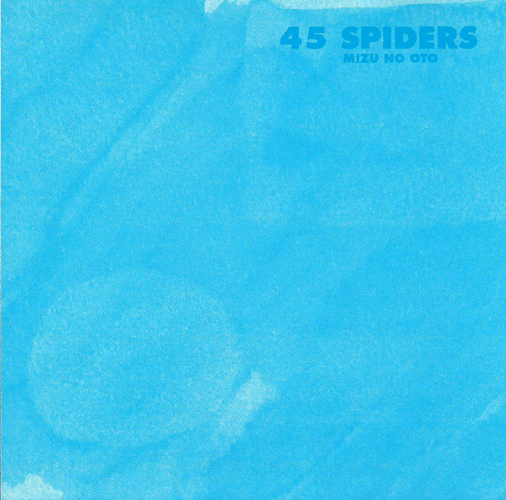 The first of the sessions kicks off with a rather straightforward rendering of Gang of Four's "I Found That Essence Rare," and a slightly more unhinged take on the Stones "Child of the Moonlight." The real highlight is the Susan's own maelstrom, "Hope Against Hope," perhaps their defining moment. The July 1989 session yields merely two cuts, including the Susan's spin on Wire's Chairs Missing chestnut, "Too Late," and yes, it cooks. Enjoy. Let me know if I missed anything. Overwhelming Colorfast - Sourdough ep & Sympathy Records 7"
Gem/Jenny Mae - split 7"
Stunning, forward thinking indie rock from 2015, with a tincture of retro pizazz to keep things interesting. I've seen this one kicking around on Ebay and in record stores for ages, but I didn't take the plunge until a few days ago. Bought it based on the intriguing album jacket more than anything else, which is entirely superficial of me. 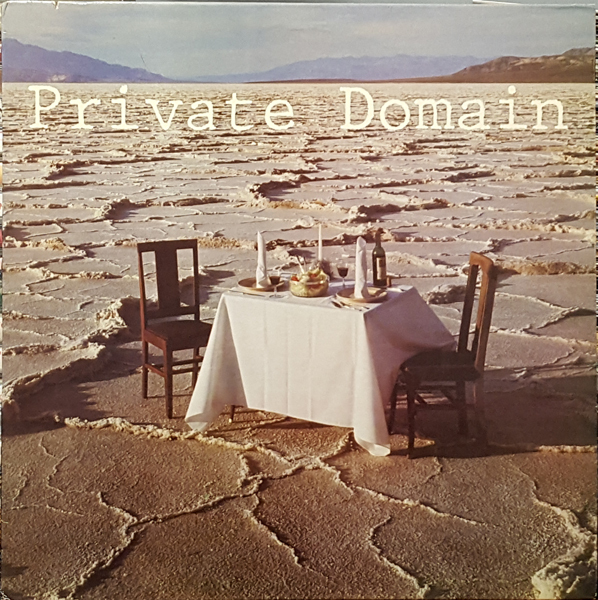 Turns out that Private Domain claimed San Diego as their physical domain when this disk lurched onto the racks, courtesy of Chameleon Records, who I believe were more renown for acts like Dramarama, but I digress. Not the subrosa masterpiece I was hoping for, the album (which was re-released a year later on another label, bearing a vastly different track list) is your proverbial mixed bag. PD's approximation of white boy rasta on "Turn Out Right," and their apparent signature piece "Absolutely Perfection" are at the very least passable, and in some cases outshine the album's less satisfactory moments (like the pitiful power-ballad misstep "Broken Hearts"). 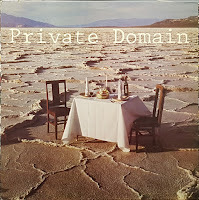 Despite some '80s shtick and period keyboard trickery, Private Domain were at their most effective and assertive when they skewed to a riffier album rock motif, exemplified on "So Comfortable," not to mention the pseudo power pop of "Burn the Torch," which was a hell of a lot more convincing than Cheap Trick's sappy radio hit at the time.